HOW DO I DECIDE WHAT DR. TO SEE? ANOTHER DOCTOR CHARGES LESS FOR STEM CELL THERAPY AND PRP OR PROLOTHERAPY IN MIAMI– WHY SHOULDN’T I GO THERE SO I CAN SAVE MONEY? Not all doctors are created equal in experience, knowledge, techniques, training and even common sense. Success rates are different in each physician’s hands. One doctor may charge more because he doesn’t “cut corners” or use cheap products or equipment. That same doctor will use the finest supplies, instruments, and staff to make sure you get the best possible results and chances for success. This doctor’s costs may be $500 while another may have cost of only $50 for “the same” treatment. Think about it this way. As Papa John’s once said: “better ingredients, better pizza”. If you’re going to put something in your body, you better make sure it’s the best product available in the hands of the best doctor, because if you have a problem, you will be paying so much more to correct it. Don’t be penny wise and pound foolish. Don’t scrimp on your healthcare. Dr. Mahl spent 3 years in Fellowship learning Regenerative Medicine, Prolotherapy and PRP. He has the most advanced training and experience in this field compared to any physician in South Florida and he has been recognized as a true expert and specialist to teach and train other physicians which include orthopedists, pain specialists, physical medicine and rehabilitation specialists, anesthesiologists and others. Most doctors take a weekend or week long course to familiarize themselves with stem cells, PRP and prolotherapy and then advertise themselves out to be experts. Obviously such advertising is misleading and confusing to the general public. Unfortunately there are no laws to stop this from happening. This sometimes leads patients to go to the wrong office and to misfortune. Dr. Mahl spent years learning every detail and technique of Prolotherapy, PRP and Stem Cells. He is a recognized specialist in prolotherapy and is asked to speak and teach all over the United States and Latin America. He recently has taught physicians in Mexico, Argentina, Colombia and Ecuador. He has spoken in San Diego, Seattle, San Francisco and Phoenix giving lectures and will was a speaker and presented a lecture in Havana, Cuba this year and trains orthopedists and other pain specialists in Mexico, Colombia, Argentina, Ecuador and Peru. He is on the Board of Directors of the American Association of Orthopaedic Medicine and co-chairs the 2018 Annual Conference. 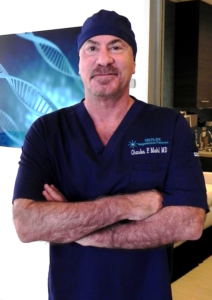 He is also on the Advisory Board of Regenerative Medicine companies and does clinical research on new developments and products in this field.He also trains and teaches other physicians in the art and science of regenerative medicine, stem cells and prolotherapy and PRP in Miami on a monthly basis. Dr. Mahl has over 100 physicians in his practice who call him their doctor and whom he has perform prolotherapy, PRP and/or stem cells on for their various ailments and injuries and problems. Who better to treat you? Dr. Mahl, the respected and recognized expert, or the doctor who took the weekend course? The answer is obvious. Read more about Stem Cell Therapy in Miami, Prolotherapy in Miami, PRP in Miami, or Pain Management in Miami.